Worli, Mumbai - 400 018. A-73, MIDC,Thane-Belapur Road, Kopar Khairane, Navi Mumbai - 400 703. Spread across 10,000 sq.ft, near the centre of interiors hub - Lower Parel, Marshalls Design Lounge sets exemplary standards of wallpaper retail in the country. A perfect amalgamation of artistic excellence, coupled with outstanding service, Marshalls Design Lounge presents unique, theme lounges, to ease the visual and physical depiction of special themes, thus, making selections effortless. These include the American Lounge, Victoria Lounge, Four Square Lounge, Ethnic Lounge, Club Lounge and the VIP Lounge. The largest wallcoverings showroom in the country, Marshalls Design Lounge is a name to be reckoned with as the frontrunner in interior design, championing the cause of avant-garde, wall design ideas. The Design Lounge also has a dedicated floor for furnishings and artefacts, to further accent beautiful interiors. In other words, a complete solution provider. Jayanagar, Ward No.177 Bengaluru - 560069. College Square, Cuttack, Orissa - 753003. Gurgaon (Iffco Chowk), Gurgaon - 122002. Mahim, Mumbai - 400 016. Home, Mumbai - 400 056. Baner, Pune - 411 045. No 26/36, Patalamma Temple St. Next to Pai Vista Convention Hall Basavanagudi Bangalore - 560004. 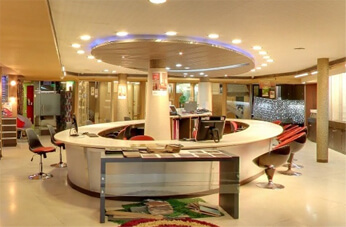 Ground Floor, North Block, Manipal Centre, 47, Dickenson Road Bangaluru - 560062. 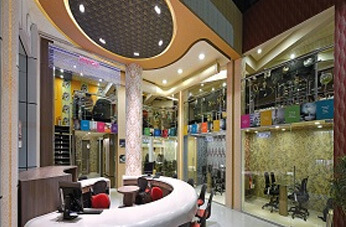 2637/2737, M/S Di Techno Industries & Trade Pvt Ltd 27th Main, Sector-1, HSR Layout Bangaluru - 560102. C/O Gopalan Enterprises (India) Pvt Ltd, No 6 Shop No FF-10A, 1st Floor, Gopalan Signature Tower, old Madras Road Nagavarapalya, CV Raman Nagar Bangaluru – 560093. Sri Vinayaka Complex, No 17 & 18, 7th Main 80 Feet Ring Road, Gnanajyothi Nagar Opp. Gnanabharathi University Quarters, Mallathalli Bangaluru - 560056. 6th A Main Road, 1st Stage, KHB Colony Agrahara Dasarahalli, Bangaluru - 560079. Neeladri Road, Electroniocs City Phase-1, Opp GDR Residency Apartments, Near Ajmera Infinity Aparts Bangaluru - 560100. Shop No : F 28, 1st Floor, 75, EPIP Area Road No 7, Whitefield Bangaluru – 560066. 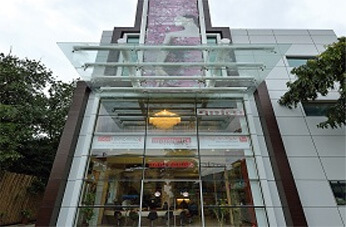 Balraj' Arcade, 647/396, Ground Floor Whitefield Main Road Bangaluru – 560066. NO.623, Ground Floor, 80 Feet Road Koramangala 4th Block Bengaluru – 560034.